Action, heavy metal and epic games! Would it be dark, loud and mysterious, getting players head banging like in the good ol’ heavy metal era? Well, the curtain has been raised and starting August 2017 Metal Casino is open for business. Created by a group of casino experts with a passion for heavy metal music, they decided to take their joint head-banging sessions to a new level and create some real magic: Metal Casino – the best of two worlds. 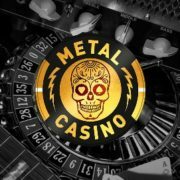 So what makes Metal Casino a tough act to follow for other online casinos out there? They offer the world’s most popular slots, a great live casino, fast payments and as the cherry on the top of the cake, live concert experiences with up-close-and-personal moments with some of the heaviest names in Metal music. Operating on the MT SecureTrade Ltd. platform under MGA and UKGC licenses, gave the crew the opportunity to offer right from the start a very large selection of games from some of the best providers such as Betsoft, Big Time Gaming, Elk Studios, Microgaming, Netent, NextGen, NYX Interactive, Play’n GO, Quickspin, Red Tiger Gaming, Thunderkick and Yggdrasil. Their Live Casino tables are powered by Evolution Gaming and Netent Live. 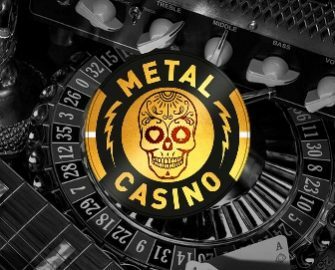 All metal lovers and wannabees who sign up at Metal Casino can look forward to a very generous welcome package that includes deposit matches, spins on the mighty Gold Wheel and MetCoins. Games excluded when wagering a bonus: Table games, Live Casino games, Video Poker, Lucky Angler, Big Bang, The Wish Master, Devil’s Delight, Robin Hood: Shifting Riches, Tomb Raider 2, Tornado: Farm Escape, Jackpot Jester 50000, Jackpot Jester Wild Nudge, Super Monopoly Money, Thunderstruck I, Eye of the Kraken, Kings of Chicago, Aliens, Tower Quest, Dead or Alive™, Vikings go Berzerk, Alchymedes, Holmes and the Stolen Stones, Viking Runecraft, Beautiful Bones, Spiña Colada, Mega Joker, Joker 8000, Double Dragons, Simsalabim, White Rabbit, Legend of the Golden Monkey. Bonus excluded countries are Albania, Belarus, Bosnia and Herzegovina, Croatia, Latvia, Lithuania, Macedonia, Moldova, Russian Federation, Serbia, Slovakia and Ukraine. The promotions page is not overly filled with extra casino campaigns and treats but players can expect personalized offers directly via email based on their activity level at the casino. Late Night Mosh Pit: Between 22:00 – 00:00 CET every evening, give it all to win over the crowd and progress to another Tour Stop on the World Tour and collect an extra reward of 1,000 MetCoins. The loyalty program comes in no other form than a World Tour where players need to complete their gigs to advance to the next tour stop and earn rewards in form of MetCoins, the casino’s internal currency, or a spin on The Golden Wheel, which comes in three levels based on the activity and loyalty level at the casino. Upon completing a level, the player is presented with a choice of four guitars and is allowed to make one pick. The options for The Golden Wheel are Super, Mega and Epic with increasing prizes for Free Spins, MetCoins and one Jackpot valued at €200, €1,000 and €2,000. MetCoins can be used in the “Merch Shop” to obtain Free Spins at various bet levels on a range of games as well as a variety of merchandise and concert tickets. The Metal Casino Crüe made a wise choice to operate their gaming hangout on the MT SecureTrade Ltd. platform, which is almost a guarantee for a good game choice from a long list of established, new and upcoming providers. The crew made some popular selections and added more than 10 providers at the start mixing mainstream suppliers like Netent, Betsoft, Lightning Box, Microgaming, NextGen Gaming, NYX Interactive and Play’n GO with new or upcoming companies such as Big Time Gaming, Elk Studios, Thunderkick, Quickspin, Red Tiger Gaming and Yggdrasil. 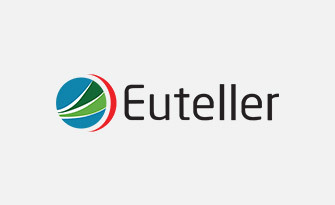 They also added tables from Evolution Gaming and Netent Live to cater for the Live Casino enthusiasts. 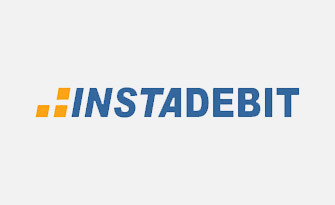 An added benefit from operating on an established platform is the wide range of currencies and payment methods that a casino can offer to its players. At Metal Casino, players can register their account in EUR, GBP, NOK, SEK and can use the most common payment methods for their deposits and withdrawals. 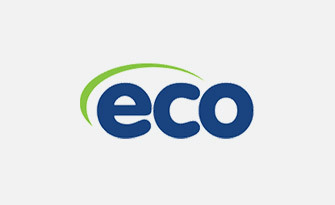 Currently, the choices are Master Card, Visa, EnterCash, EcoCard, Euteller, Neteller, Skrill, Sofort, Trustly, Paysafe Card, Poli, P24, Zimpler and Bank Transfer. For selected countries Metal Casino offers a variety of Instant Banking options. Customer support is available 24/7 via Email or Live Chat, however, no phone number. 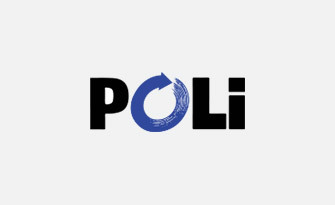 The website is at press time in English language only. To promote responsible gambling, Metal Casino accepts only players aged 18 years or older. Furthermore, all players can access via “My Account / Limits” a self-set RG console where they can enter limits for session length, deposits, losses and/or wagering amount. Additionally, they can activate a TAB (take a break) for the duration of 1 day, 1 week, 1 month or 1 year. Unlocking the account will have a 7-day cool-off period before the account is accessible. If gambling has become a real problem, players at Metal Casino can contact their support to execute a Self-Exclusion which would block the account for 6 to 60 months. 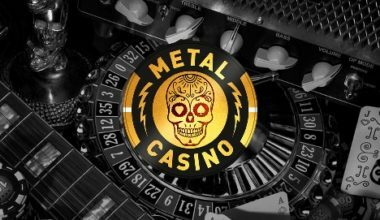 Metal Casino looks to carve a niche for themselves with the heavy metal theme and creative concept, although it should appeal to any kind of potential player as it has a good range of games, strong licenses, 24/7 support and a unique rewards program. Being able to win a one-on-one with a favorite rock star is taking the gamification grade to a new level.